In spite of an upsurge in interest in the social history of the Catholic community and an ever-growing body of literature on early modern 'superstition' and popular religion, the English Catholic community's response to the invisible world of the preternatural and supernatural has remained largely neglected. Addressing this oversight, this book explores Catholic responses to the supernatural world, setting the English Catholic community in the contexts of the wider Counter-Reformation and the confessional culture of early modern England. 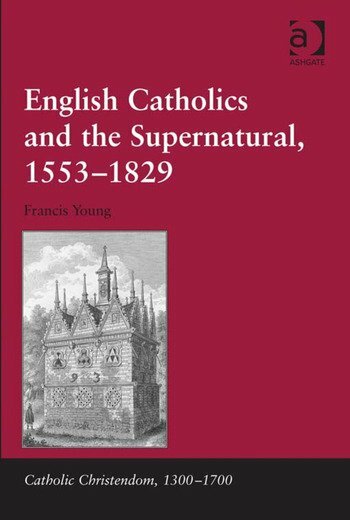 In so doing, it fulfils the need for a study of how English Catholics related to manifestations of the devil (witchcraft and possession) and the dead (ghosts) in the context of Catholic attitudes to the supernatural world as a whole (including debates on miracles). The study further provides a comprehensive examination of the ways in which English Catholics deployed exorcism, the church's ultimate response to the devil. Whilst some aspects of the Catholic response have been touched on in the course of broader studies, few scholars have gone beyond the evidence contained within anti-Catholic polemical literature to examine in detail what Catholics themselves said and thought. Given that Catholics were consistently portrayed as 'superstitious' in Protestant literature, the historian must attend to Catholic voices on the supernatural in order to avoid a disastrously unbalanced view of Catholic attitudes. This book provides the first analysis of the Catholic response to the supernatural and witchcraft and how it related to a characteristic Counter-Reformation preoccupation, the phenomenon of exorcism. Contents: Preface; Introduction; Early modern Catholics and ’superstition’; Catholicism, Enlightenment, and ’superstition’; Ghosts and apparitions in the English Catholic community; Catholics, witchcraft, and magic in Reformation England; Catholics and witchcraft in the age of Enlightenment; Dealing with the Devil: Catholic exorcisms; Appendices; Bibliography; Index.